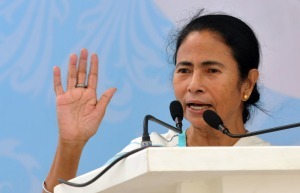 Honorary Doctorate for Mamata Banerjee? After all, the person is a State’s Chief Minister! Mamata Banerjee, affectionately and popularly called Didi, by any stretch of imagination, is a remarkable person. She is a woman leader of exceptional merit, a proven clean leader in a society and politics that is unfortunately a notoriously corrupt. We live at a time when we see so many new facts and allegations are coming out almost on a day to day basis. So, this is an opportunity for the society and for the polity to debate certain so far undebated issues! See how the legislatures are functioning? How the august institutions of Parliament, both the Lok Sabha and the Rajya Sabha are demonstrating to the public what they are capable of? How they are failing the people and yet how the hon’ble MPs, and MLAs in the States are voting themselves for a steep salary hikes and thereby holding the great institutions to certain ridicule and mockery. Who are all the causes of this decline in public life? Also, the very many distortions? How many of the great personages, the Cabinet ministers charged by the CBU and ED? How many of the present members of the Lok Sabha and the Rajya Sabha face criminal cases? This is just the legislature. The state of the judiciary? The state of the media freedom? And the evolution of the polity? Are we evolving towards a more open and liberal society? Or, getting sucked into debates on the Hindutva vs the liberal order? No, we seem to be becoming a backward looking, reactionary and even a sort of feudal dynasty-dictated polity? We are also becoming selfish, family and ethnic promoting lot. Once you enter the political field, your life and actions, your coteries and circle of sycophants must be discarded. Has this happened in the political parties to day. And yet, how many times you change parties and loyalties. What are your special qualifications to stick to office and posts? And, pray, what are your political beliefs and ideologies? Simple power-grab! Nothing more and nothing less! You, leaders, all imagine that people would remain fools for all time to come? Indian would become transformed by the younger-age groups that enter the voter lists in the next few years. Non-performers, party hoppers, party defectors, those who accumulated black money and wealth, benami properties, faced corruption cases and even after spent time in jails, if you hope to come back and seek more plunder! Indian democracy can’t tolerate any further. These categories of looters much vacate political space at once.There are still more sensitive and awkward questions? The very mindset of our political leaders. You are all set to become a family dictated leaders, right? How dare you ignore the people, you have simply neglected the poor and the weak. You seek blessings from temples and mutts, you seek the God’s help for your family enterprises that are parties today! So, in such a blatant anti-people politics of yours, all leaders, here is one leader, Mamata Banerjee who is the most non-corrupt and non-family promoting, dedicated, austere life style that is very rare indeed! So, the leader deserves not one D.Litt, but many such degrees and public adulations. In a state like TN, such degrees are dime a dozen! So, take heart, the so-called critics, that we should search for corruption-free CMs and may be at one time in future, the PMs too. God forbid, there is at least one example of a clean face. A clean record for celebration. Long live, Didi! All the honour for you!